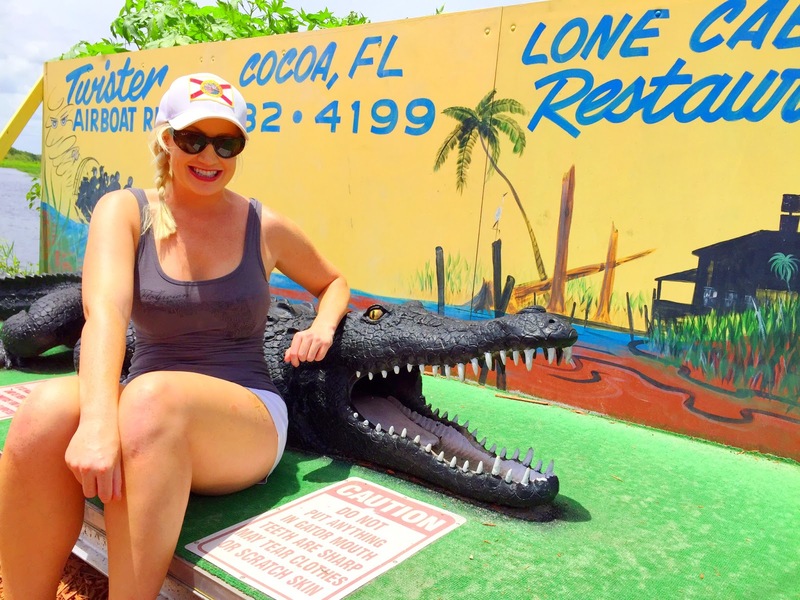 Make sure you get a picture with the gator! 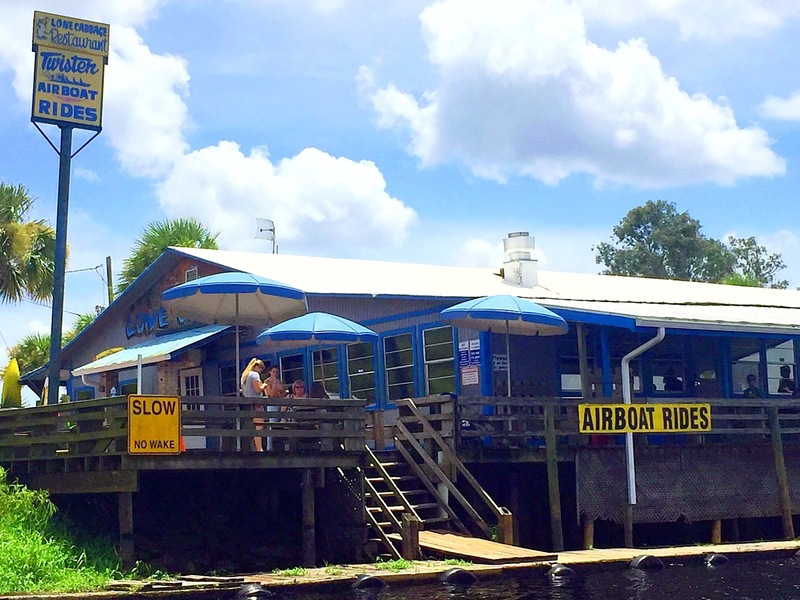 Rated #5 on Trip Advisor, Lone Cabbage is a local Floridian spot that we don't usually like to share! But if Old Florida is what you are looking for, then you need to visit Lone Cabbage! Sit on the deck for a great view! As soon as you look at the menu you will read, "Enjoy life the 'Old Florida Way' at the Lone Cabbage Fish Camp." 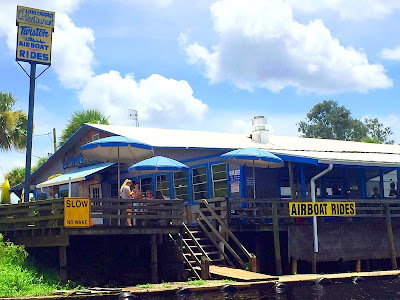 Located on the St. John's River, they have been open since 1949. We arrived by boat to this fun mom and pop located in Cocoa, Florida. 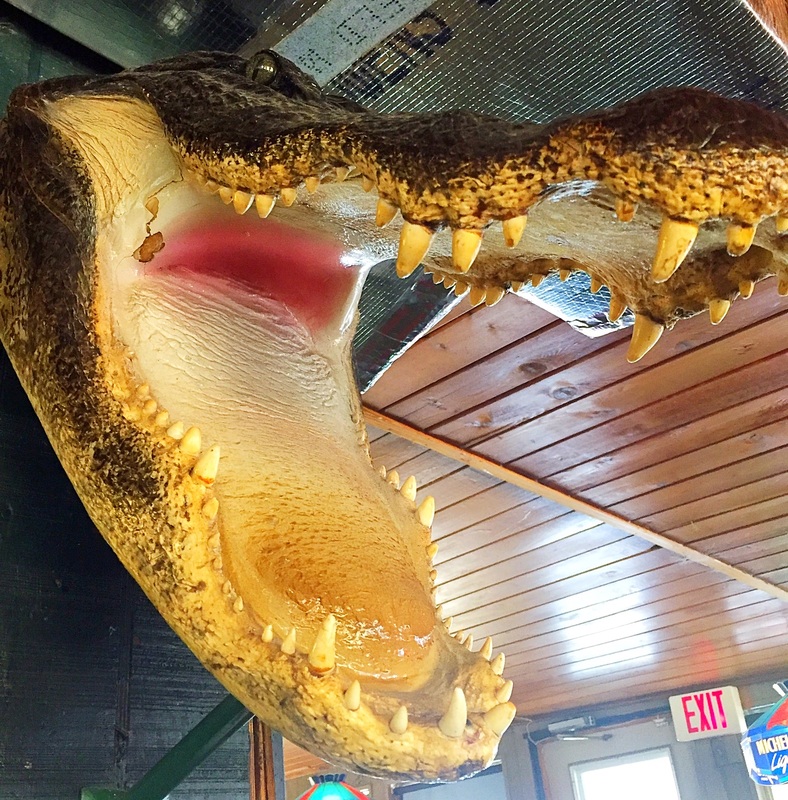 Lone Cabbage Fish Camp offers airboat rides and real Old Florida food including gator tail, frog legs and catfish. Come by boat or car to Lone Cabbage. On Sundays they offer live music and a Fish Fry from 1:00 PM-5:00 PM! 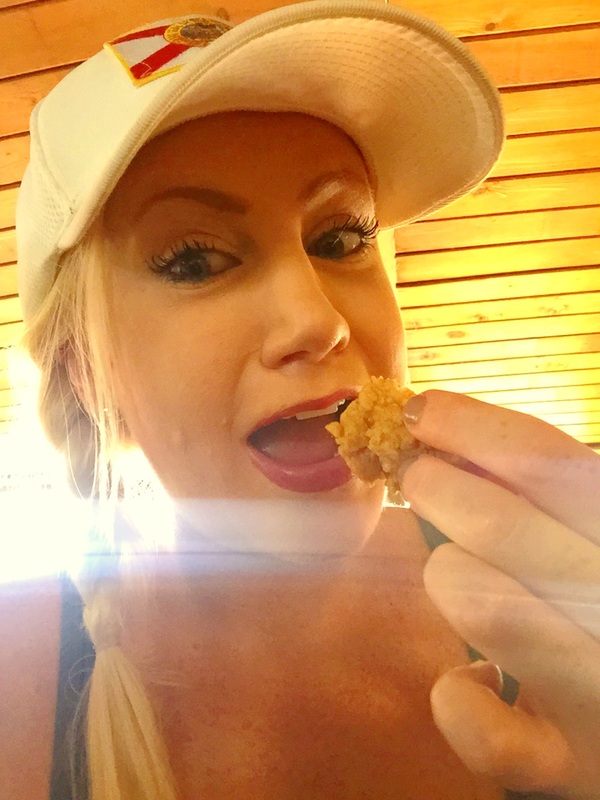 Here I am getting down on some Gator Tail! 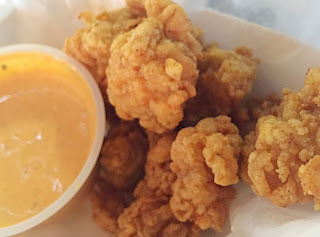 We started off with the freshest gator tail we have ever had! They make amazing homemade sauces to go along with your gator. And the gator was definitely not frozen. And of course, we ordered a few ice cold beers. They don't have beers on draft but their bottles were nice and cold. Lone Cabbage also offers a full liquor bar, to those of you that are extra thirsty. I ordered the fish Reuben. 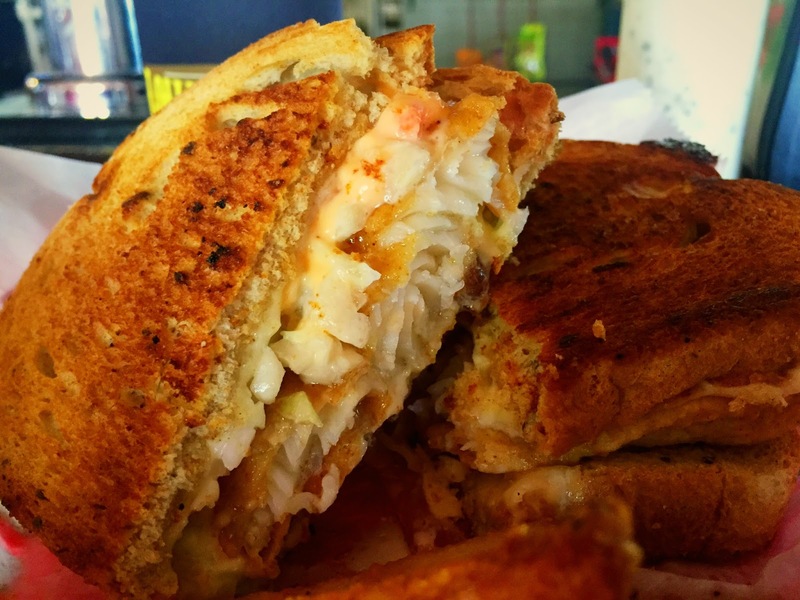 It's like a regular Reuben but tastier because it includes fried fish instead of corned beef. It was really delicious! 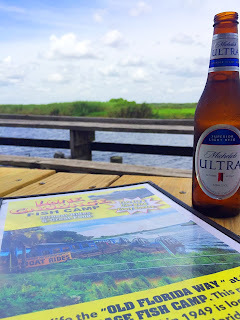 This is definitely a fun place you will need to stop by either by car or boat! View their rating on Trip Advisor.